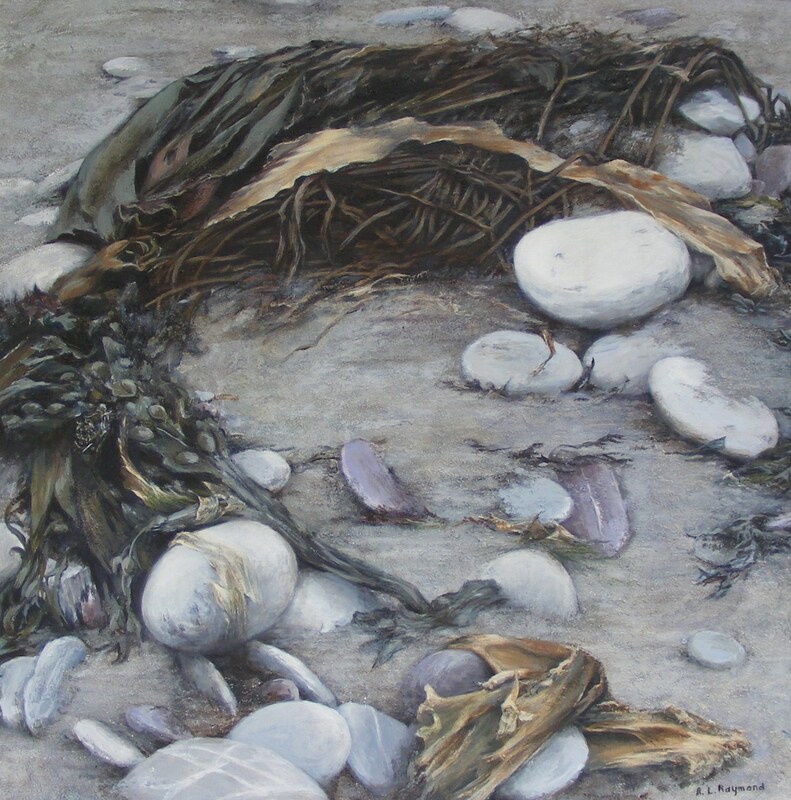 Pebbles and seaweed washed up by the force of the sea, old ropes, and rusty chains. 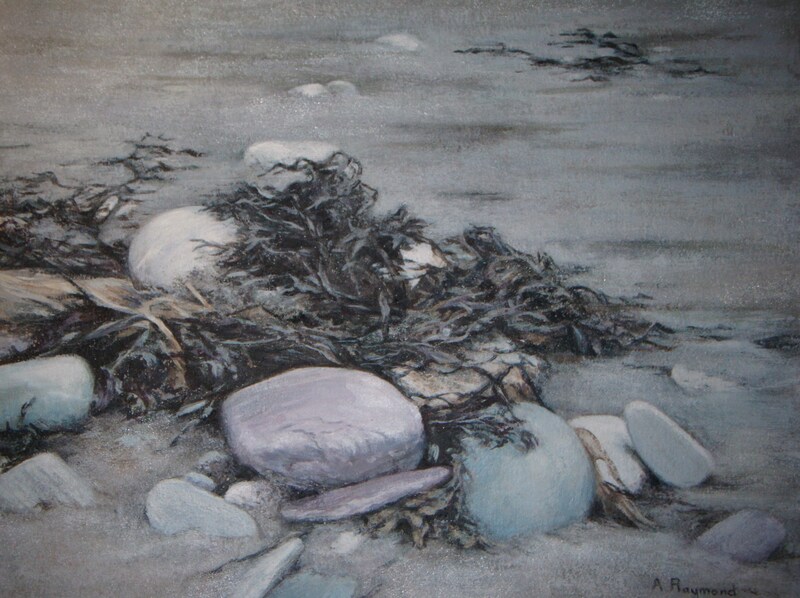 These objects I find are just as interesting as the bigger picture of the coastal view. 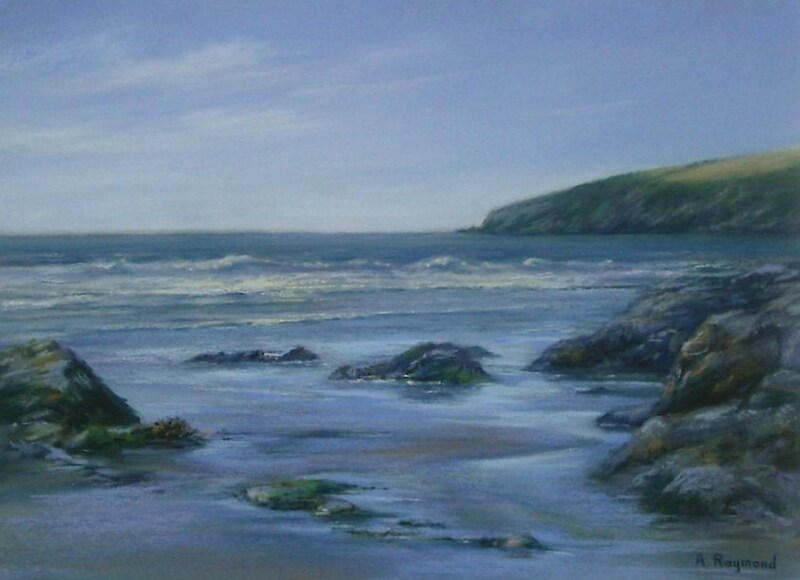 The shape’s they form can change by the turn of a tide. 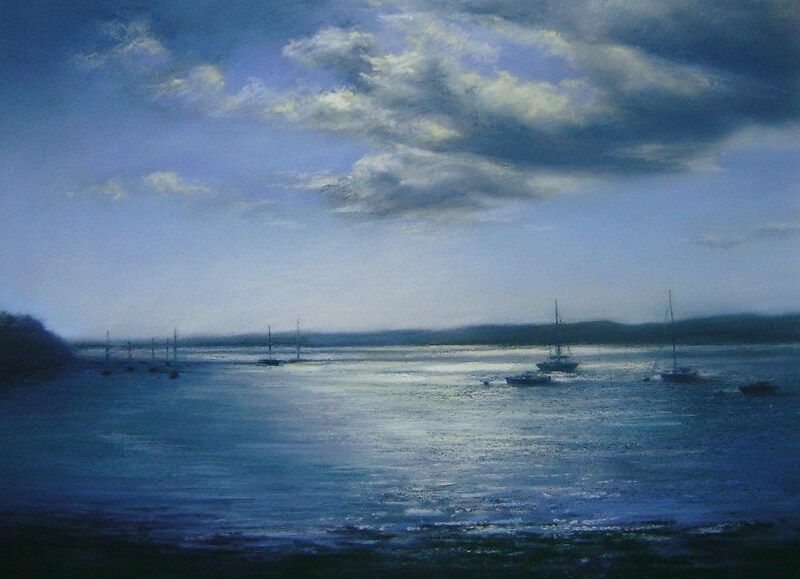 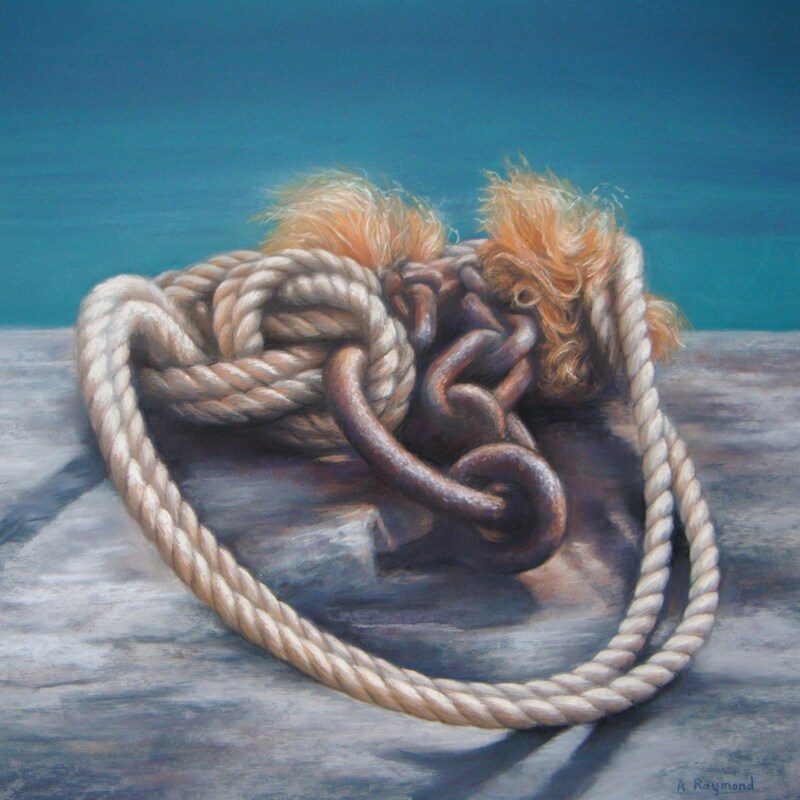 Frayed at the Edge, 2012, Pastel. 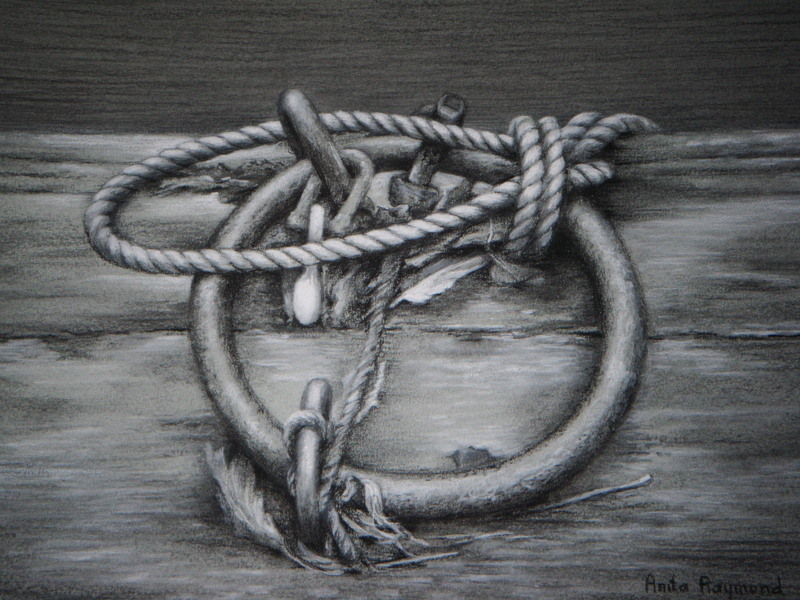 Bits and Pieces, 2012, Charcoal and Pastel. 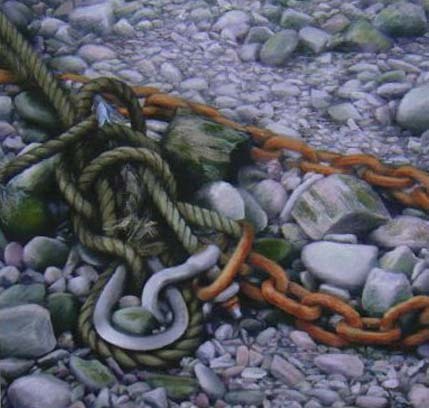 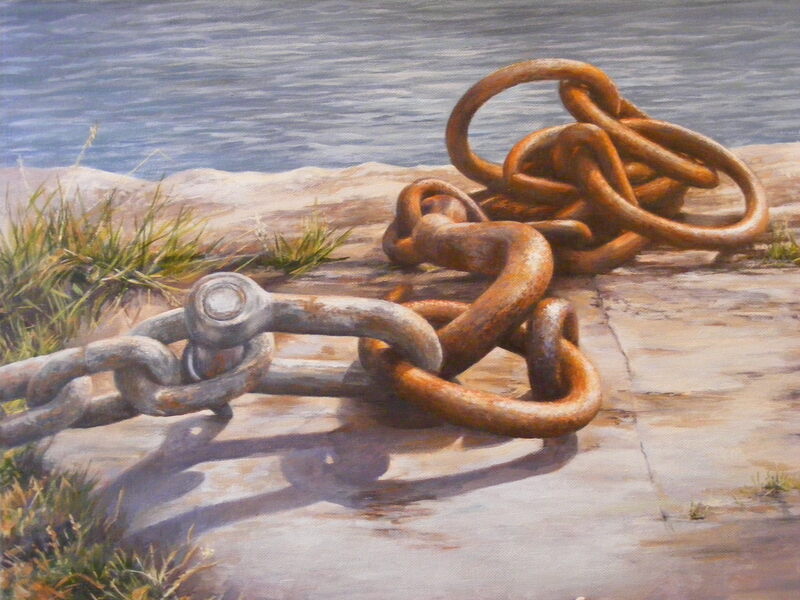 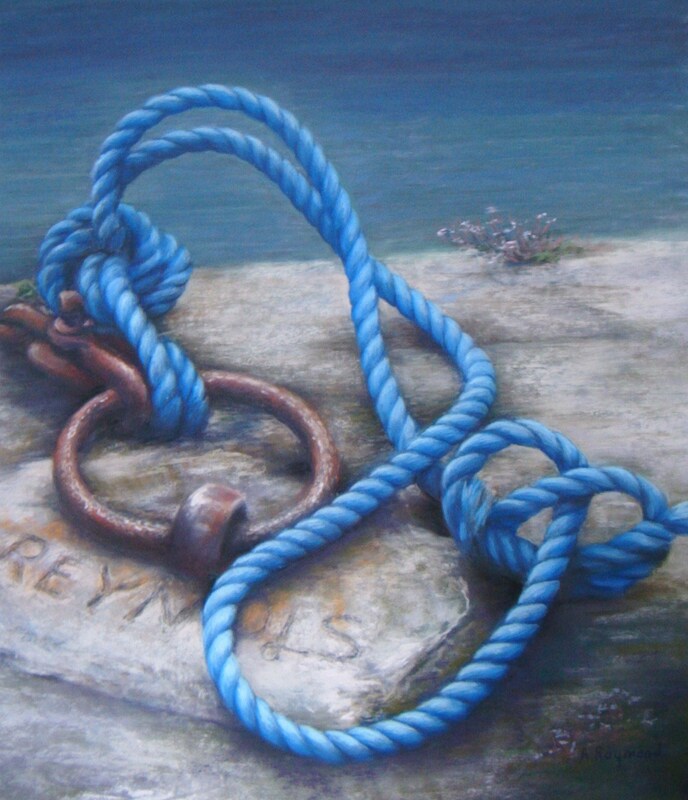 Ropes, Chains and Pebbles, 2005, Pastel.